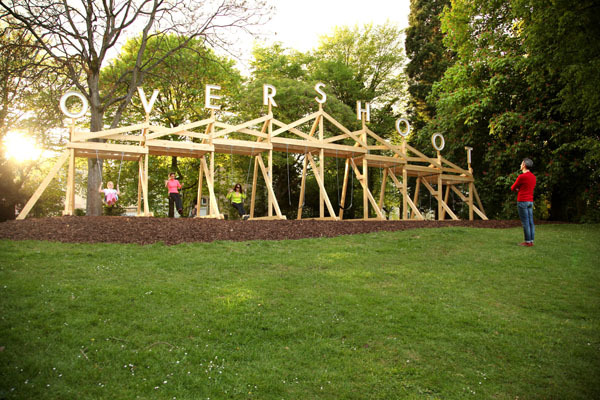 Planning, design, architecture with the pseudo-playful installation by the French architects Encore Heureux: The title of the installation “OVERSHOOT” refers to the idea of ​​Earth Overshoot Day. It concerns the annual estimation of the date on which humanity will have depleted stock of natural resources the planet can offer in a given year (for example, in 2013 it was 20th August). It is therefore the day beyond which we are living beyond our ecological means. An American NGO called Global Footprint Network calculates this date by equating Earth’s biological production capacity with humanity’s ecological footprint. 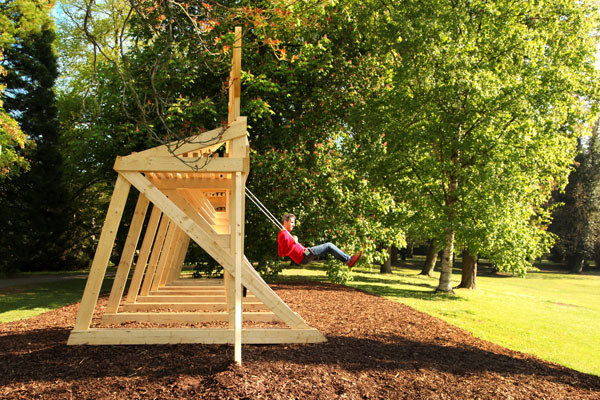 This installation offers a dual experience of relaxation and awareness raising. It is a fun, community-based way of sharing an idea that hangs over us and is one of the major challenges of our time. Free access to the installation from April to September. 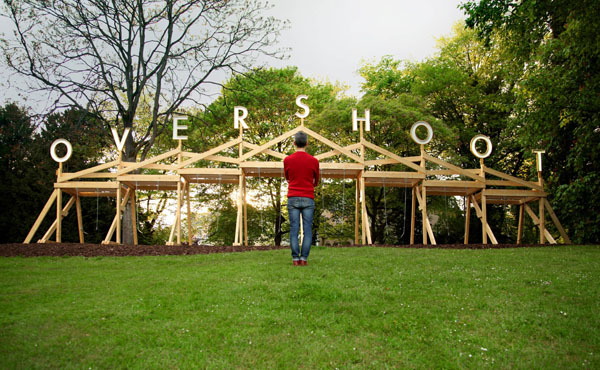 - Signage, graphic design with the agency Maurice+Paula (Lxbg/Eindhoven) who have invented an adventurous way of discovering the park: at each intersection a game of ‘heads or tails’ will send visitors to the right or left. Heads or Tails evokes the idea of ​​gambling, intuition and chance, thus responding to the impact of the Schueberfouer fair which takes place every year on Place du Glacis. The sign work covers two main areas, the first being markings on the ground inviting visitors to play “heads or tails” to determine which direction to take, ultimately getting them lost in order to discover more of Kinnekswiss park. 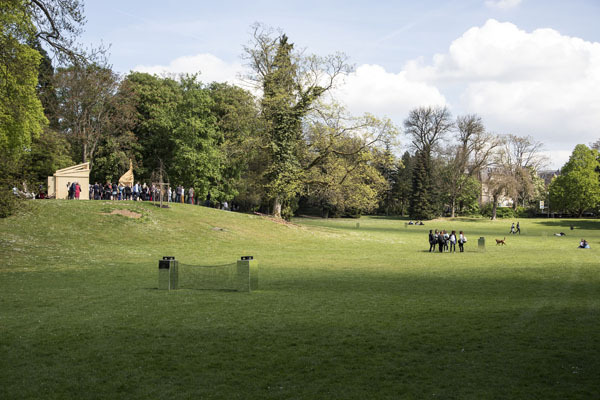 The second focuses on the various entrances to the park, the plan being to build a main totem pole and five secondary totem poles in order to reveal the park layout while inviting visitors to project themselves into a playful universe even before entering. Play and find out ! 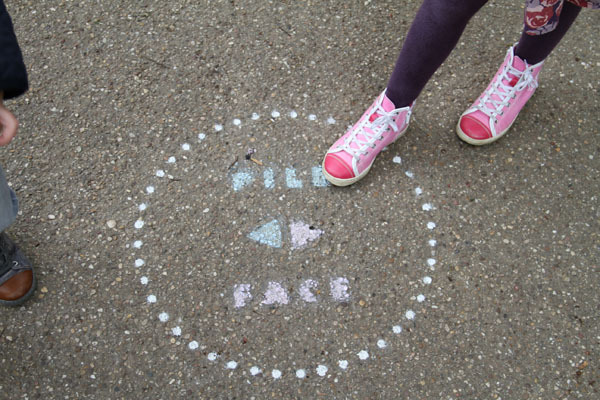 - Actions, social design: Wakup Studio/Aurélie Brunet (Brussels) proposes ‘Kinneks’ play: how to transform park bins into a games area thanks to a ‘plugs’ system. Wakup Studio has conducted a qualitative survey through meeting both the users of the Municipal Park and “resource people” (gardeners, historians, geographers, etc) who are familiar with different aspects of it. 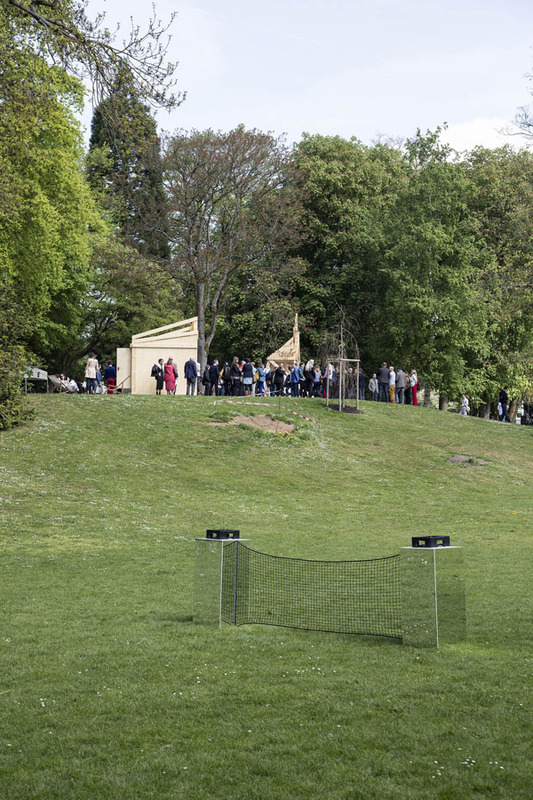 Having noted that the bins in use are too light and too mobile, and are often used for other ends, Wakup Studio intends to recontextualize this facility in order to associate a new set of bins with sporting activities, using them as supports for games. Various bin projects have been designed, in collaboration with students from the Lycée technique des arts et métiers, combining signs, colours and accessories so that the bins take on a positive and playful aspect. This creates cohesion between the diverse Kinnekswiss users, raising their awareness about pollution and presenting a positive image of the park. “Kinneks’play” bins can be used without moderation ! Design City Luxembourg 2014. Dedicated to the issue of design in public space and also to its integration in every-day life, the Design City biennial is intended to be a laboratory for ideas, a promotional tool and an experimental platform for the participation of designers in the development of the city. This third edition of Design City result in two exhibitions (one at Mudam, the other in the public space of Luxembourg), a conference programme plus an “off” route of the city’s designers, traders and partner institutions.